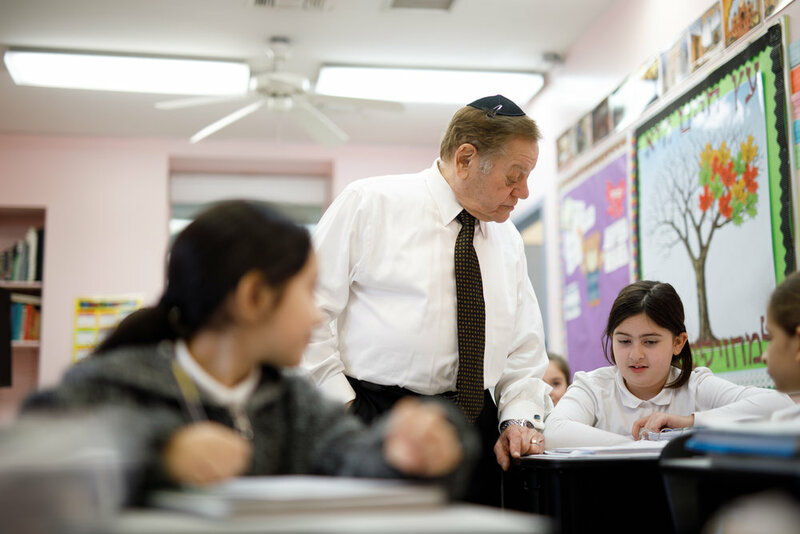 A veteran educator, Rabbi Yitzchak Greenblatt has used his expertise servicing the students of the Sephardic community high schools for over 25 years. He has been principal of both Judaic and secular studies. In addition, he has many years of experience in growth planning and implementation on both the elementary and high school levels. He has an understanding of the spiritual, educational, and emotional needs of our community youth. Known educator and sought after speaker Mrs. Chams is loved by her students in the girls elementary. In 2015 when Lev Torah opened its doors to a girls elementary Mrs Chams took leadership and has created a loving and nurturing team to cater to the needs of her students. Mr. Leonard Zeplin served as principal of P.S. 199 for 16 years and Yeshiva of Flatbush Elementary School for 19 years prior to assuming his position at Yeshivat Lev Torah. He also was an adjunct professor at Long Island University and instructor at Brooklyn College. A master educator, Mr. Zeplin’s expertise in teacher development has enhanced the education at Yeshivat Lev Torah. Mr. Rada, earned his Bachelor’s degree majoring in Management from Touro College and his Master’s degree in Education and Special Education from Daemen College. He has been a master teacher with more than 10 years of experience teaching both high school and college level courses. Mr Ratner has been working with special services for approximately fifty years. He began his career in the Board of Education as a teacher and administrator. Upon retirement, he then worked in the community at Magen David Yeshiva. Presently, he is happy to be working with wonderful children and staff in Yeshivat Lev Torah.